Hummingbirds do not inhabit South Africa. 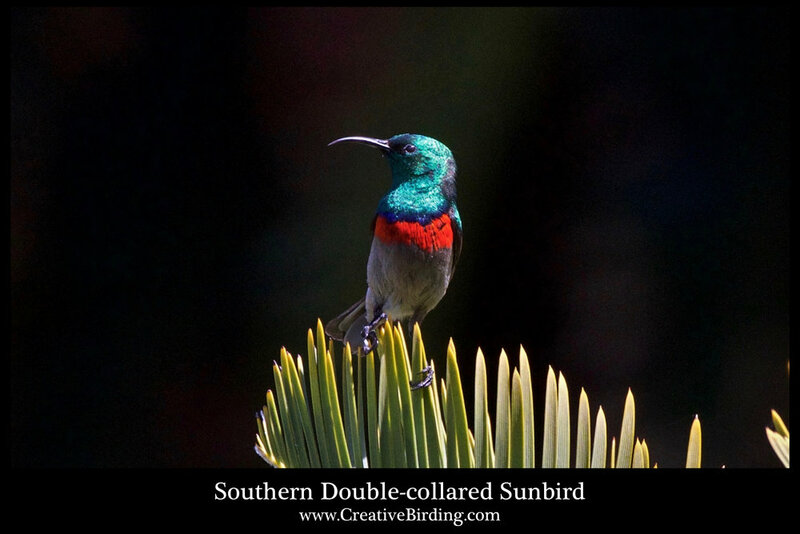 Instead, 21 species of brightly feathered Sunbirds adorn the African landscape and behave somewhat like hummingbirds. Equipped with specialized curved bills they feed on tubular flowers, but do not hover as our North American hummingbirds do. There are 16 species of Weavers in South Africa. 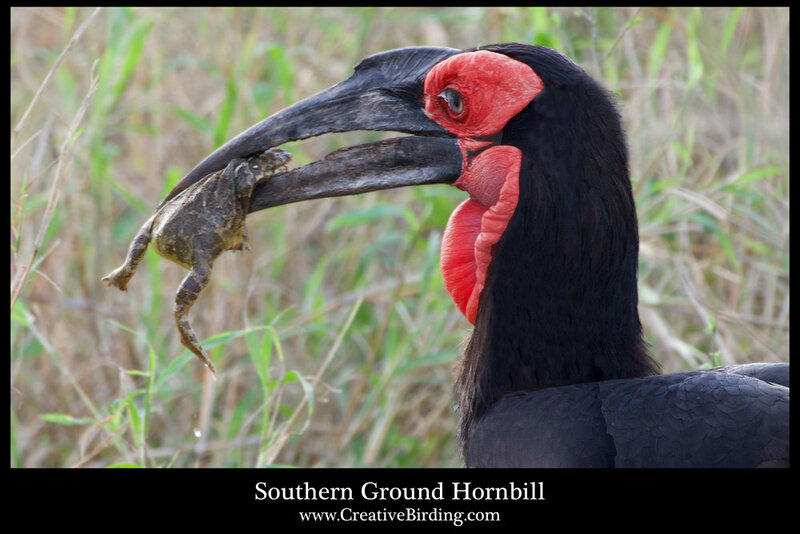 They are seed-eating birds that are very common and weave complex nests. The weavers are gregarious birds often breeding in colonies. Male birds weave elaborate nests as a display to attract a mate. Females select the nest built by the best weavers. They first secure grass strips to a limb in loops using their beaks and feet to tie a half-hitch knot and weave additional strips through the loops. Nests vary in size and shape hung from limbs and may include 1000 strips of grass. 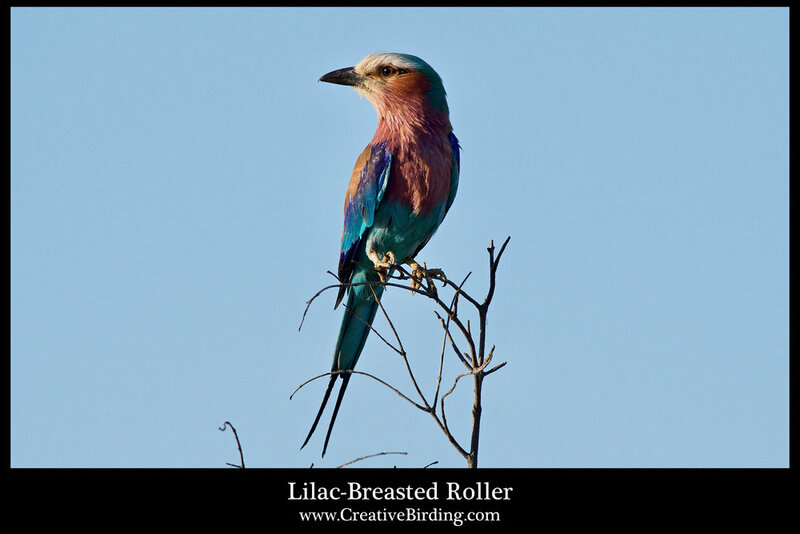 Bee-eaters and Rollers are named based on their behavior -- Bee-eaters for their diet of bees, wasps and hornets; Rollers for their courtship flight maneuvers. Bee-eaters eat about 250 bees a day. The Rollers eat insects as well as small reptiles, rodents and frogs. 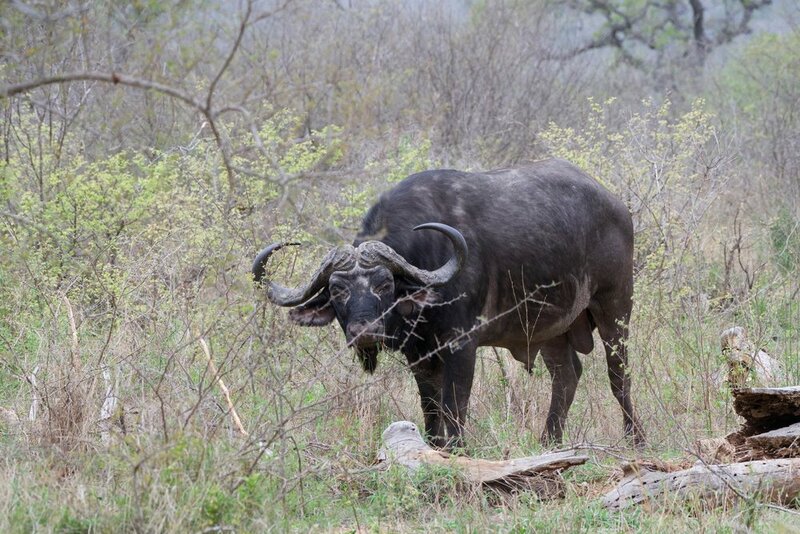 Both breed in Europe and migrate to South Africa for the winter. 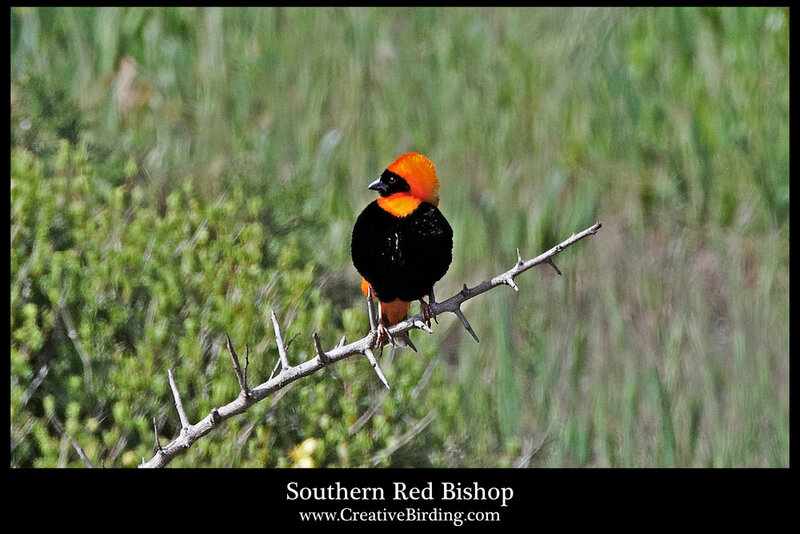 Bishops are a species of perching birds common in wetlands and grasslands that are related to weaver birds. 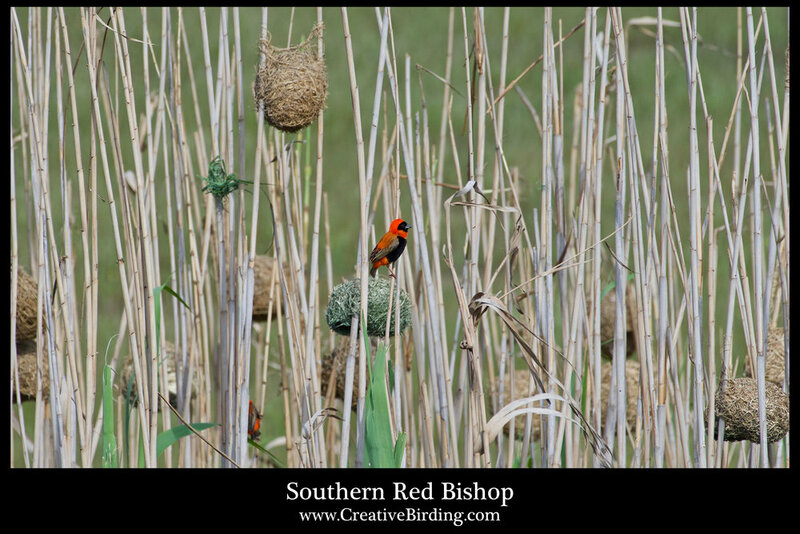 Nesting in colonies, a single bird may build several oval nests attached to reeds to attract females. When courting, they fly over the reeds like bumble-bees with fluffed up feathers and rapid wing-beats making a buzzy sound. Between morning and afternoon feeding on seeds and a few insects, they gather in daytime roosts to rest. South Africa host over 55 species of finch type, seed eating birds. 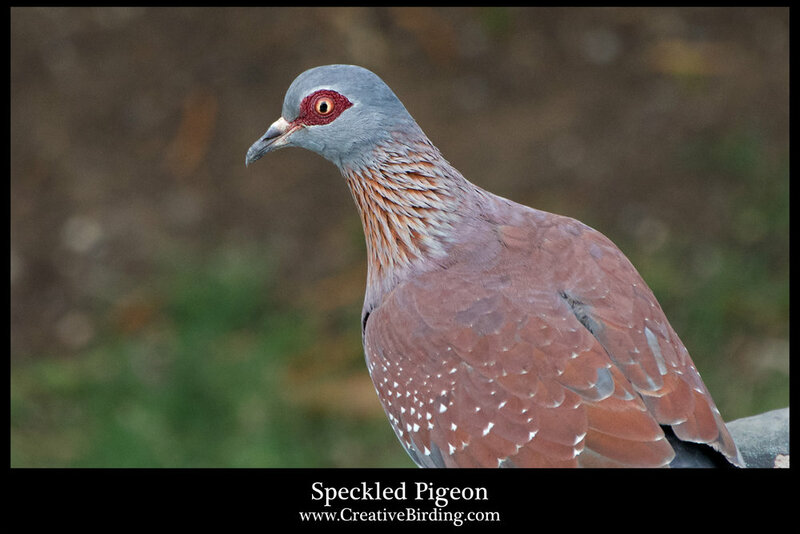 They are gregarious and colorful, seen in both small groups or large flocks. Plumage can vary from yellow to bright colors of blue, red, black and orange. Many are sold as pet cage birds. 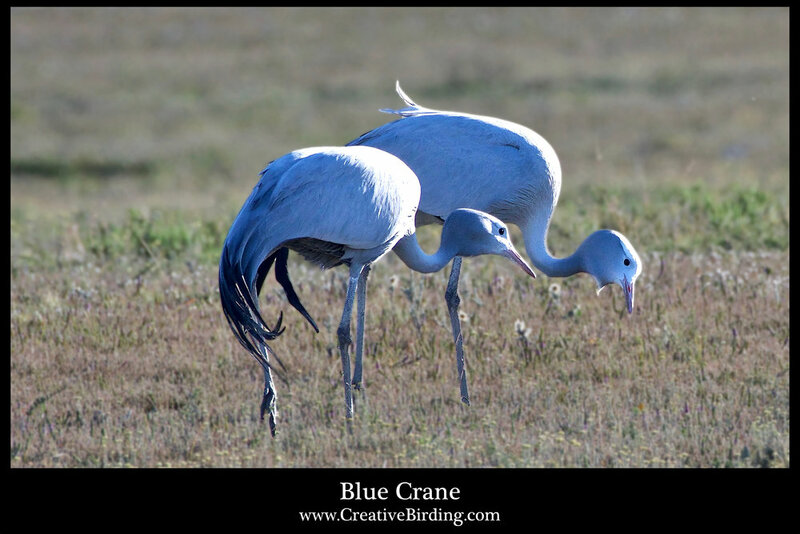 The Blue Crane, national bird of South Africa, is one of the smaller cranes of the 15 species worldwide. 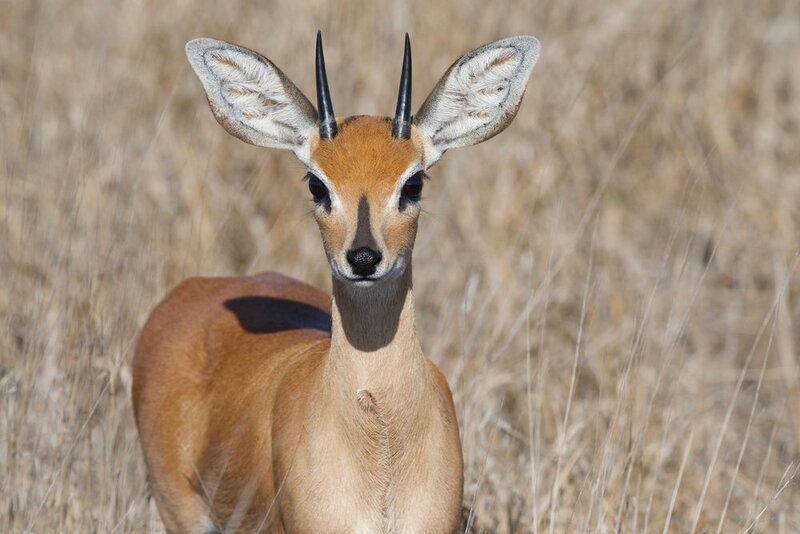 They are found only in South Africa, where it is estimated only about 20,000 survive. The Hamerkop is a medium-sized wading bird with two distinct characteristics besides its visual features. It's closest relative is the pelican, but is placed in its own family category. Second, it builds huge nest up to 6 feet deep and wide, and weighing up to 100 lbs. 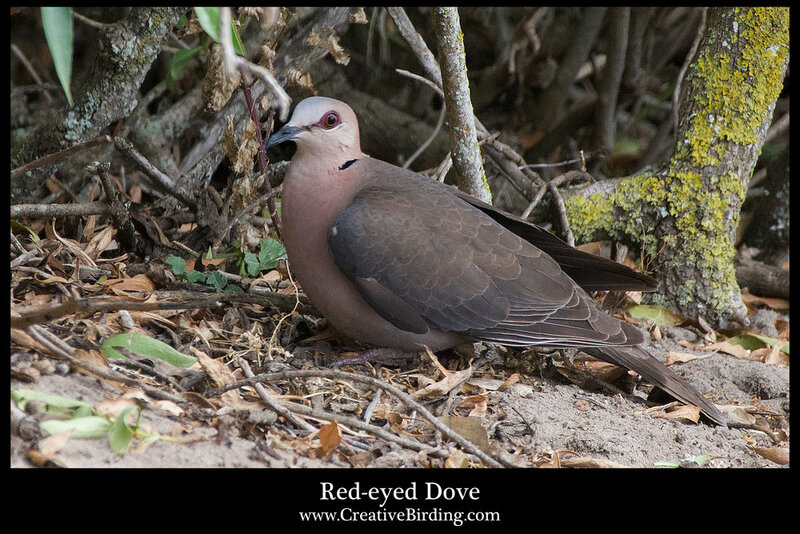 They are obsessive nest builders and may build 3-5 nest per year whether breeding or not. 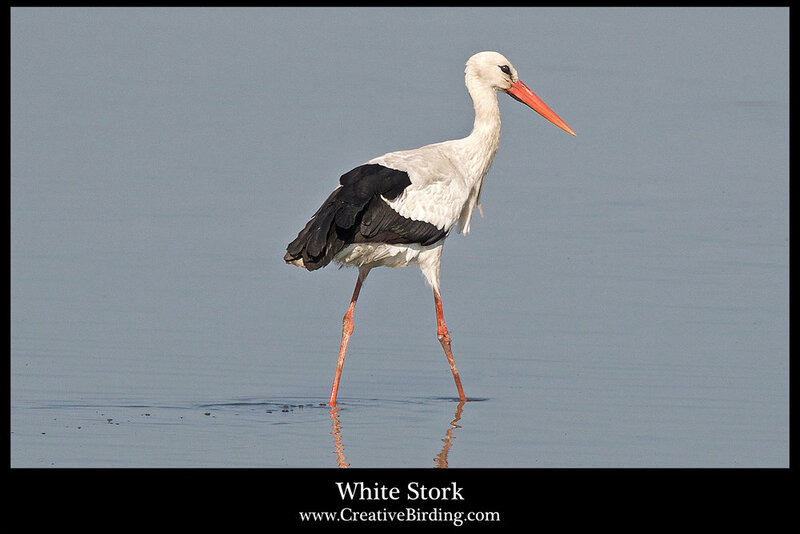 White Storksmigrate from Europe to winter in South Africa, and is one of the largest birds in the stork family. At five feet tall, the Saddle-billed Stork is the tallest stork in the world, and officially Endangered in South Africa. 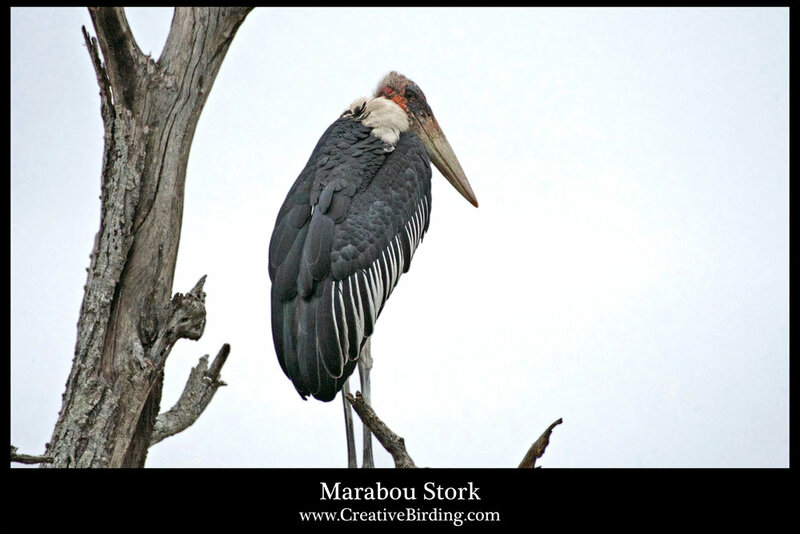 The Marabou Stork is a massive bird that can reach up to 20 pounds, and sometimes referred to as the "undertaker bird" because of it's shape from behind. 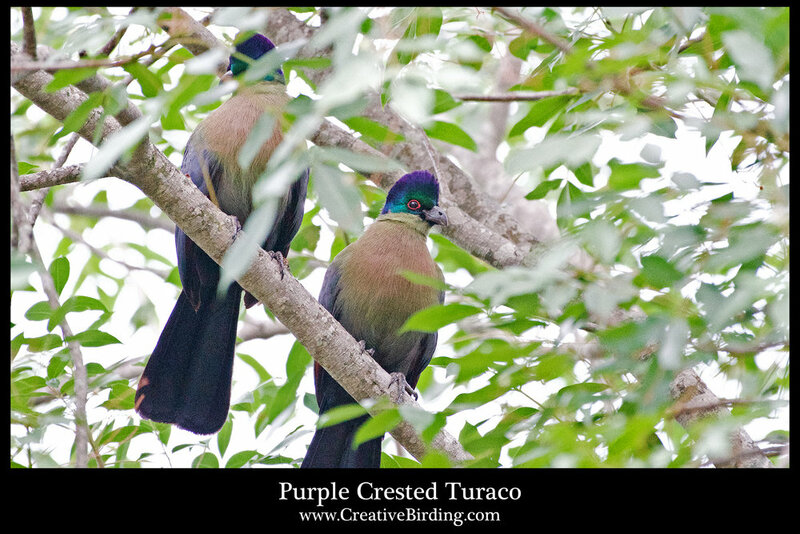 The Knysna Turaco, formerly called the Knysna Lourie, feeds mainly on fruits and can become very tame and hand fed. The vivid plumage is an effective camouflage in its native habitat often inconspicuous in the treetops. The Purple-crested Turaco has a purple colored crest above a green head, and a red ring around their eye. They eat mainly fruit. 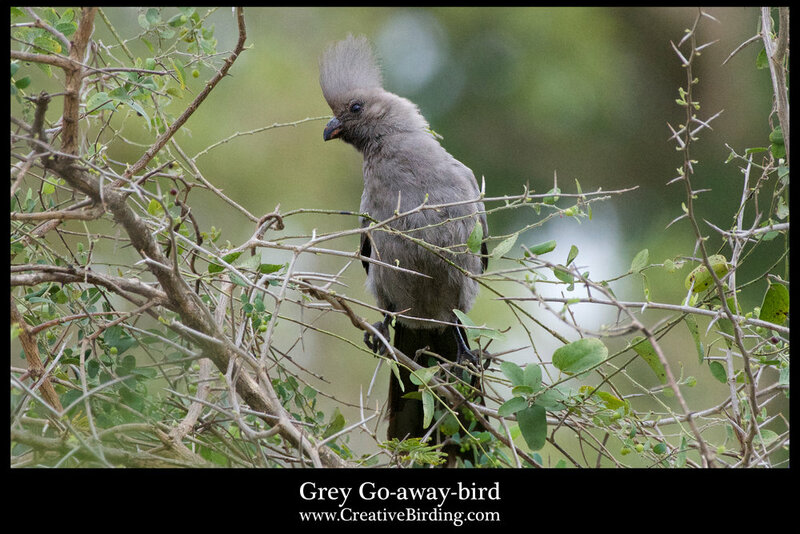 The Grey Go-away-bird, also know as the Grey Lourie, is known for their nasal call “g’wa-ay, g’wa-ay”. A pest in orchards where it damages crops, it is also disliked by hunters because of its warning call. The Burchell’s Coucals is a species of cuckoo more often heard than seen. 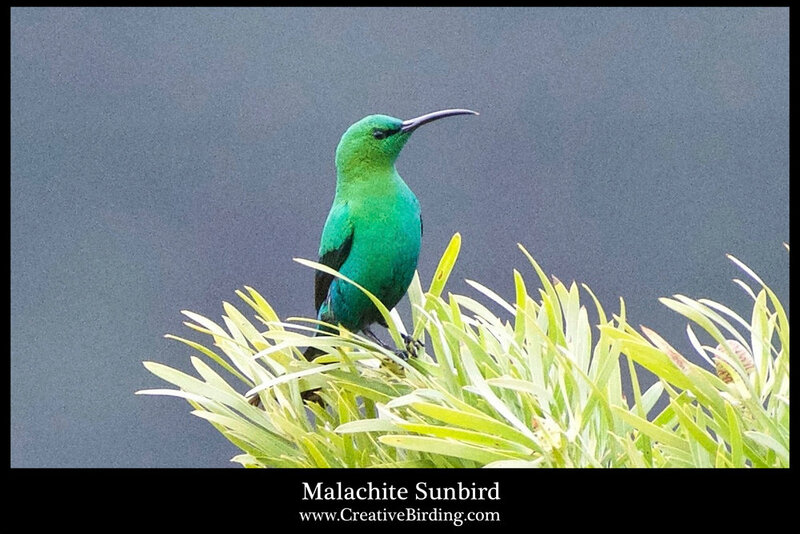 It is known as South Africa’s “rainbird”, because it calls before, during and after rains. A voracious predator, it feeds mainly on birds, reptiles and frogs. The African Cuckoo’s diet is mainly hairy and smooth caterpillars. It's dashing flight resembles a bird of prey. A ‘brood parasite’, it lays eggs in the nest of other birds. The taxonomic order of bushshrike includes 49 species. Some have flamboyant displays and tend to be colorful. Bokmakieries (9") are lively, conspicuous and attractive bushshrikes. 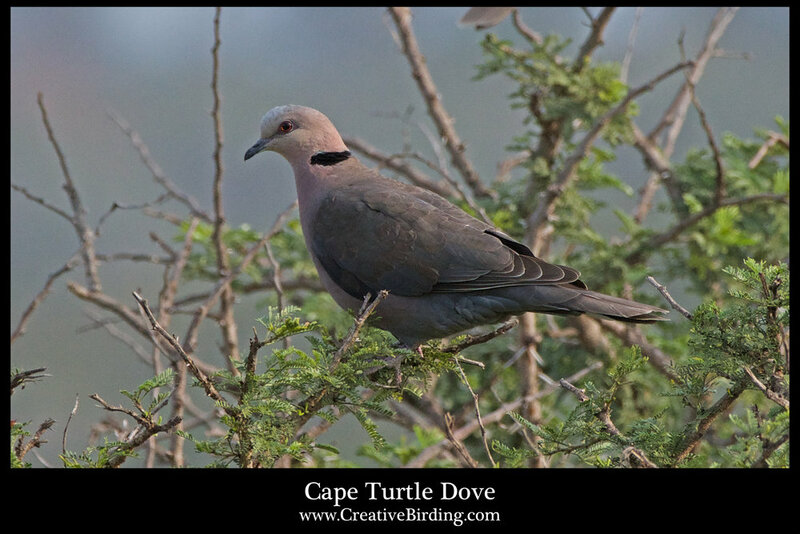 Endemic to southern Africa, they are shy and skulking. 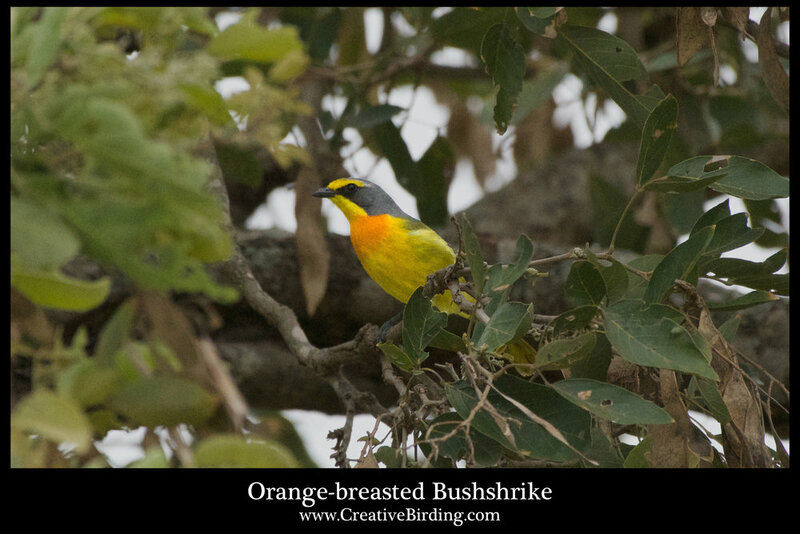 The Orange-breasted Bushshrike (7") has brilliant orange and yellow breast plumage that contrasts vividly against the acacia tree foliage in the African savanna. The Brubru (5 1/2"), a smallish, black and white bushshrike with chestnut flanks and a thick bill resembling true shrikes, are common in the acacia savanna. The Black-backed Puffback (6 1/2") is also small with black and white plumage. Their name is derived from the male’s courtship display of fluffing out its spectacular white rump plumes which looks like a snowball. 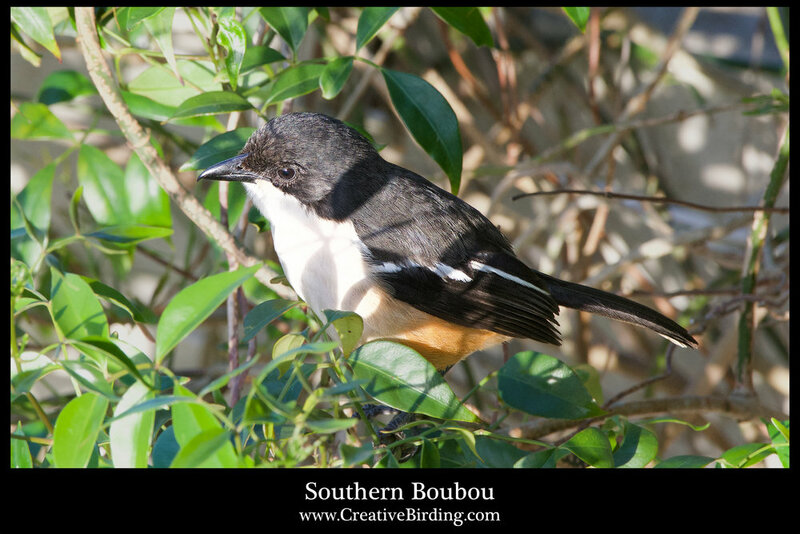 The Southern Boubou (8 1/2") is a distinctive group of large bushshrikes. They have glossy black upperparts with white wingbar and a buff wash on the belly. The attractive Black-crowned Tchagra (8 1/2”), the largest tchagra, is characterized by rufous wings, brownish upperparts and pale underparts with a black crown and eye stripes. 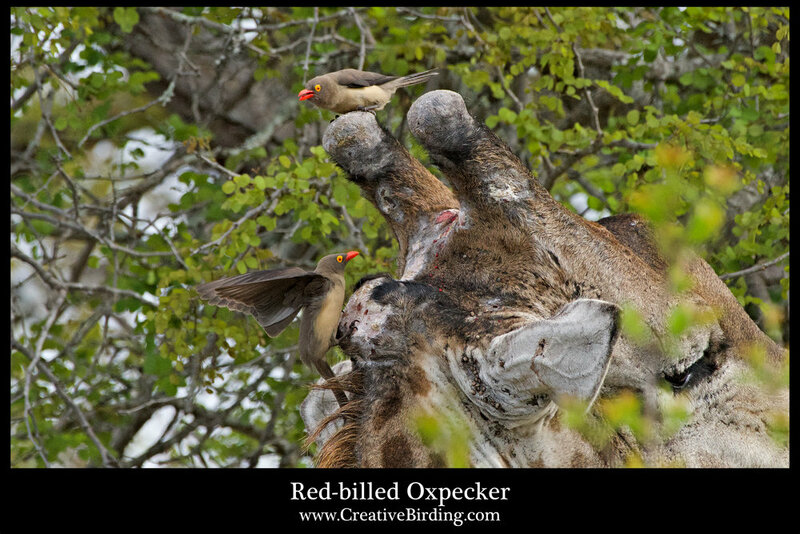 This is a highly sociable, group-living bushshrike recently placed in their own family. Retz’s Helmetshrikes (8 1/2") are characterized by stiff, bristle-like feathers protruding from the forehead, fleshy red eye-wattles and bright yellow eyes and black plumage. The sexes are alike. The White-crested Helmetshrike (7 1/2") is a striking unmistakable black and white helmetshrike with grey hind crown, broad, white collar, yellow eye-wattles and orange-pink legs. Cuckooshrikes are thrush-sized, unobtrusive birds that forage in woodland and the forest canopy. 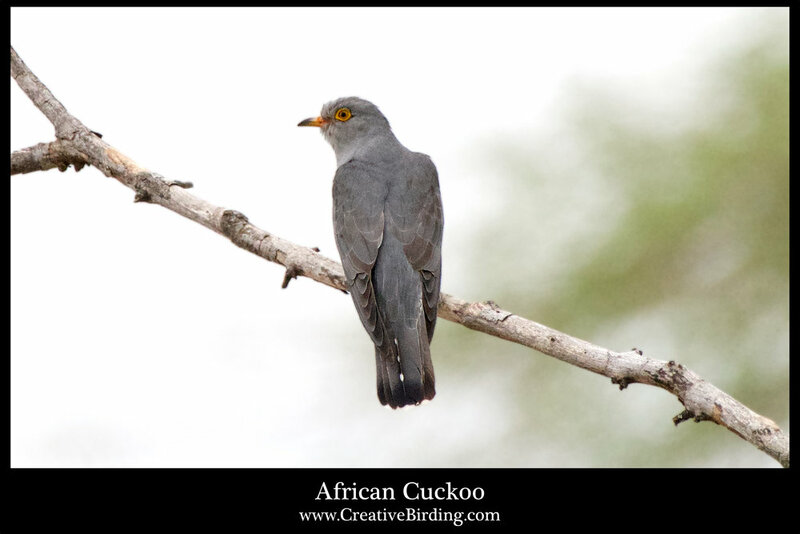 The Grey Cuckooshrike (9-10") is the only all-grey species, and displays a narrow, white eye-ring. 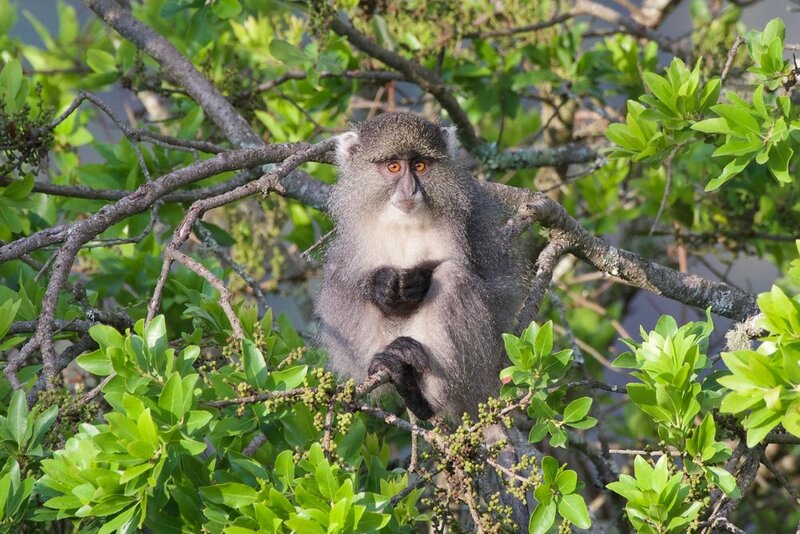 They eat insects and spiders and can be seen skulking around tree canopies looking for food. Shrikes are medium-sized passerines with an upright stance and stout, hook-tipped bills. The Magpie Shrike (16" including tail) is a large black and white shrike, known as the African long-tailed shrike, having a very distinctive color and plumage pattern. 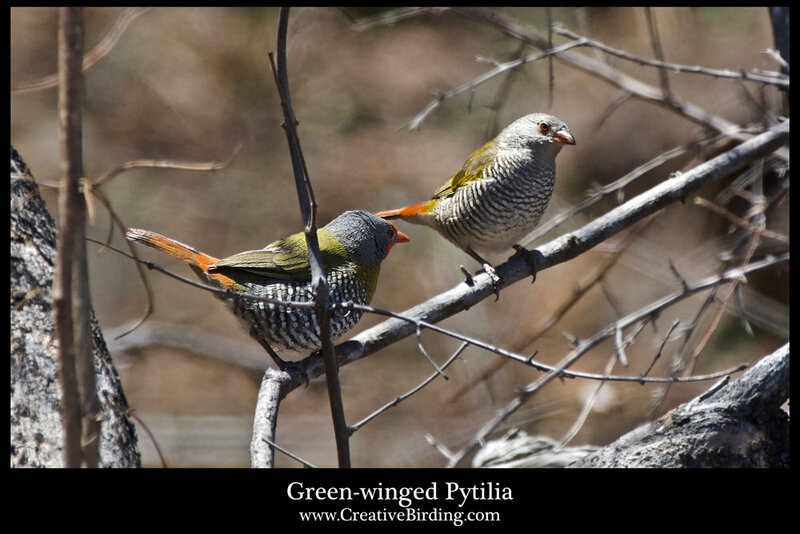 They are gregarious and usually occur in noisy groups of about a dozen birds covering a large area. 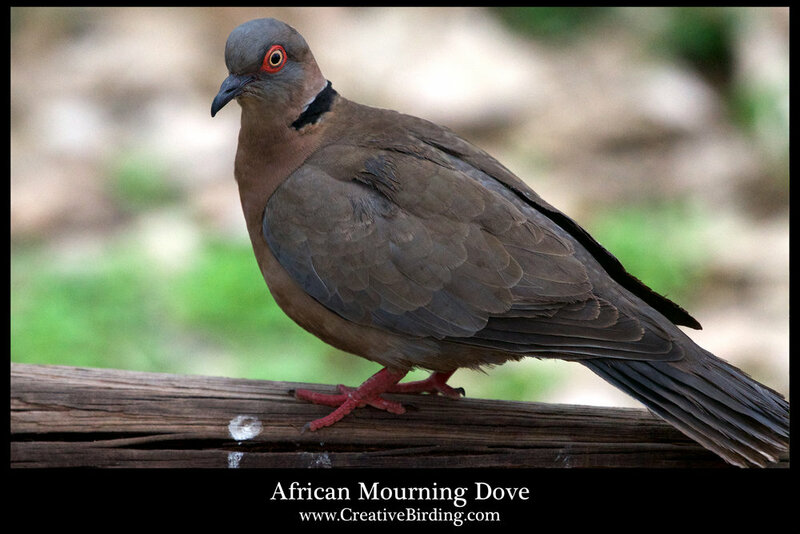 Fifteen species of Pigeons and Doves inhabit South Africa. They are a well-known family of birds with rather short legs, rounded heads and chunky bodies. There are fourteen species of starlings in South Africa. Most of them are beautifully iridescent and glossy in coloration. The glossy starlings are difficult to identify because plumage color is dependent on lighting and angle. 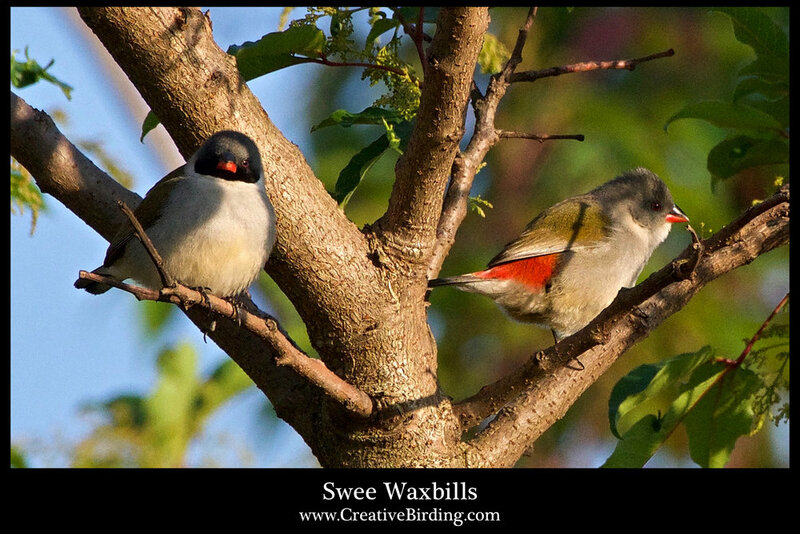 Barbets are medium size birds about 7-11 in. long. 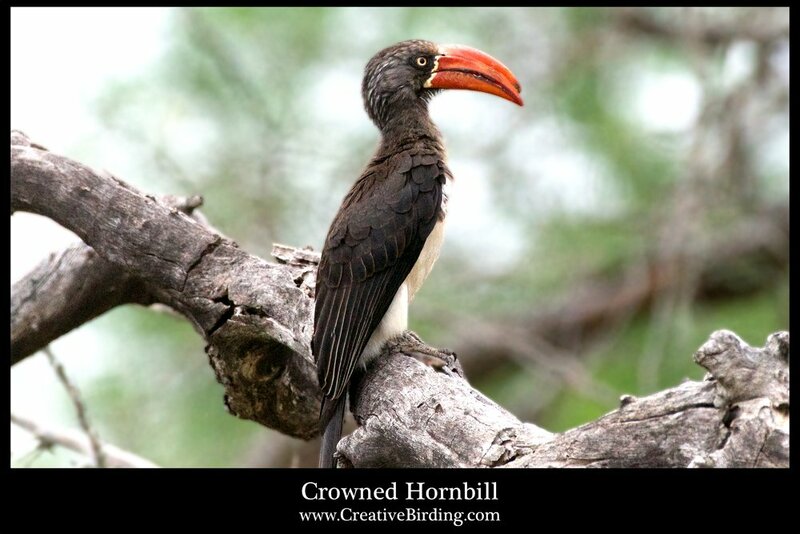 Six species resides in South Africa characterized by large bills used to dig cavities in dead wood for roosting and breeding. The Black-collared Barbet has a bright red face and throat, broadly bordered with black, and feeds mainly on fruit. 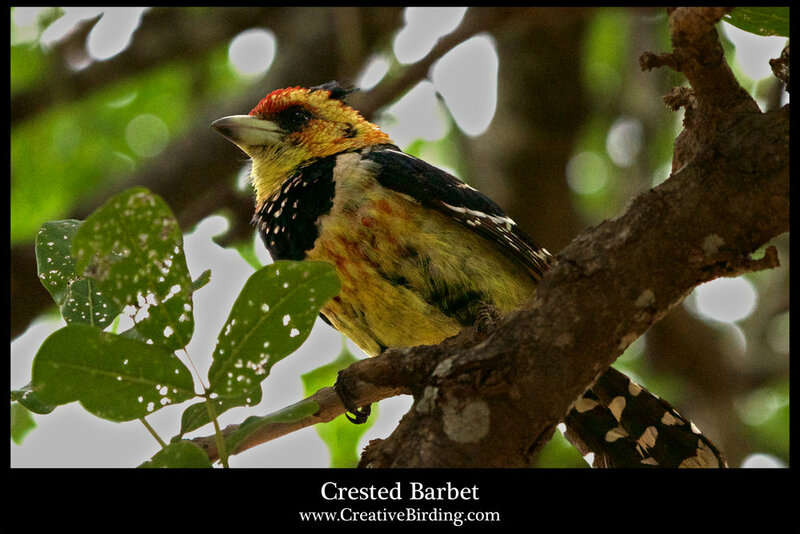 The Crested Barbet has a distinctive shaggy crest and its size and shape resembles the Northern Cardinal. It feeds mainly on insects. The Acacia Pied Barbet is similar in size and shape to the House Sparrow and feeds mainly on fruits. Five species of Batis reside in South Africa and are between 5-6 in. long. The Cape Batis is endemic to SA and mates for life. 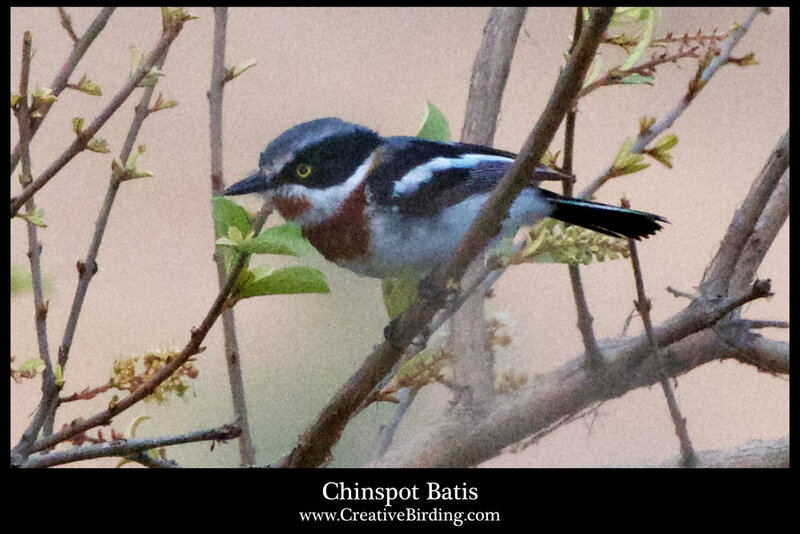 The Chinspot Batis and Cape Batis feed by taking insects on the fly. The Bar-throated Apalis is similar in size, shape and behavior to the Carolina Wren in North America, but has a longer tail. 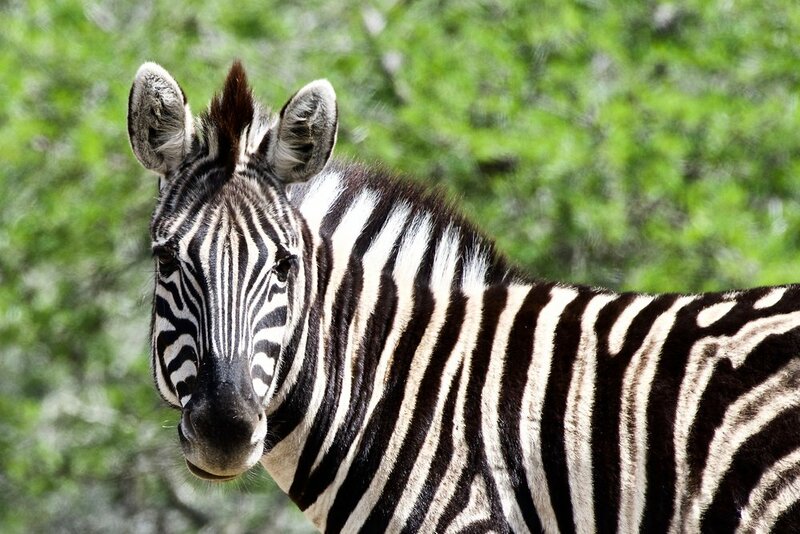 It is endemic to South Africa, and feeds almost entirely on insects. 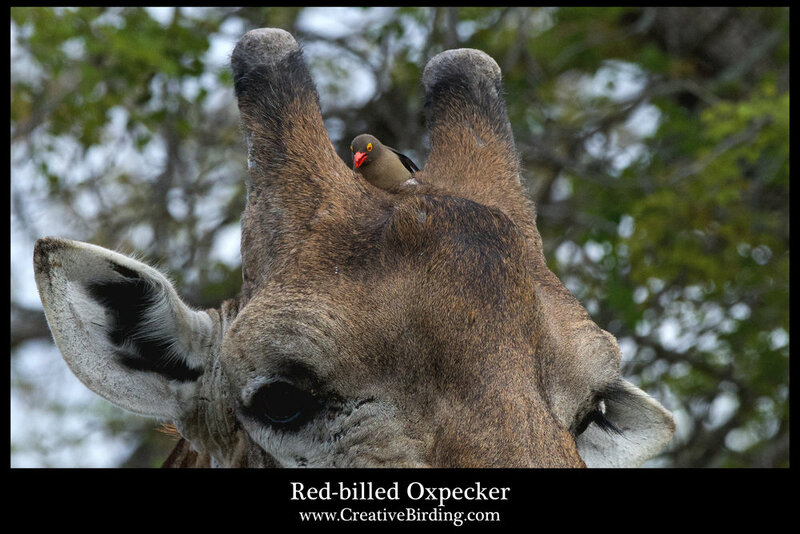 The Red-billed Oxpecker (7 ½"-8 ½”) is in the starling and myna family. However, some ornithologist think it could be in a family by themselves. 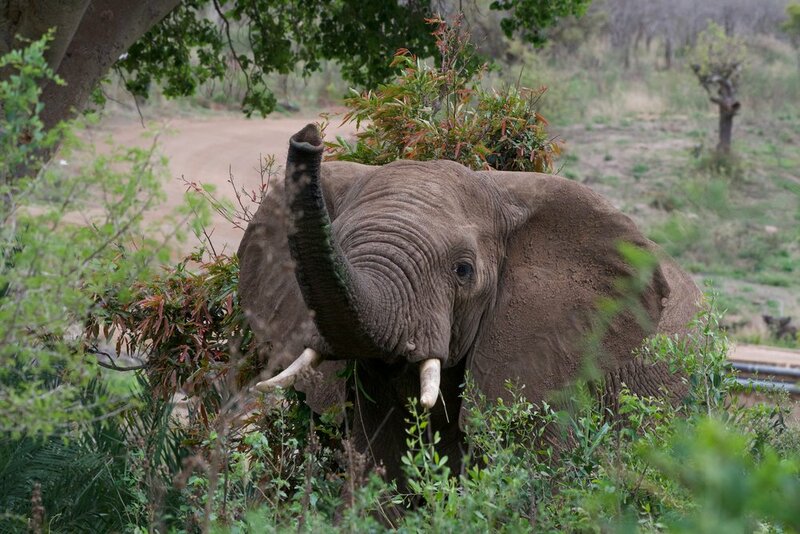 Their English and scientific names arise from their habit of perching on large wild and domesticated mammals and eating ticks – ‘a parasite-cleaning service'. An adult can consume 100 blood-engorged female ticks and nearly 12,000 larva in a day. They also continue to peck at open sores giving strong evidence that blood is the birds' preferred food. The African Hoopoe (9 ½”-11 ½”) is an exotic looking bird instantly recognized by its long, decurved bill, distinctive ‘crown’ or ‘crest’ of black-tipped feathers, and its rich chestnut coloring contrasted by the black and white stripes of its wings and tail. Characterized as not being sociable birds, they have an oil gland which produces a foul smelling secretion. They forage on the ground and prefer insects and beetles. 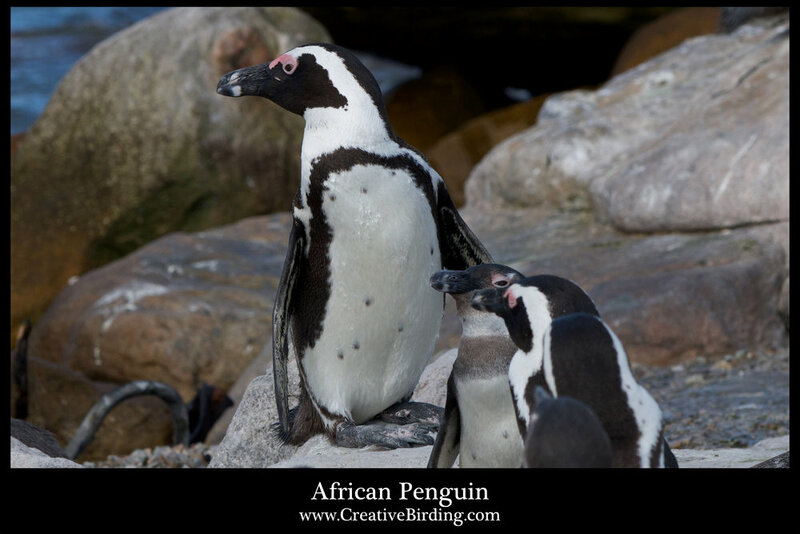 The African Penguin (24"-27") is a flightless sea bird and the only penguin that breeds in the South African region. They are endangered due to competition with pelagic fisheries, pollution, predation and disturbance at breeding colonies. They are known as “Jackass Penguin”, because of the unique sound similar to a donkey braying. The Brown-headed Parrot (8 ½”-9”) is a predominantly green parrot with a uniformly grey-brown head. 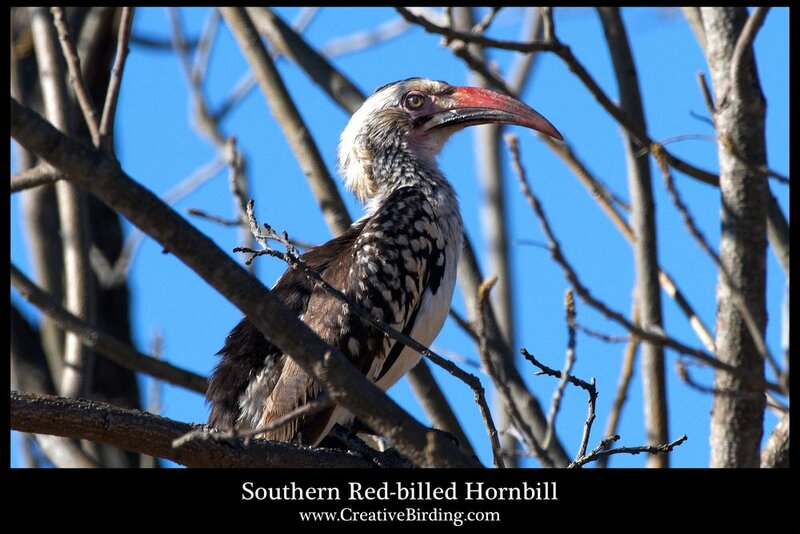 They are shy, well camouflaged, and rarely seen when they are not flying from tree to tree. They are popular in Aviculture - the practice of keeping and breeding birds and the culture that forms around it. Large bustards are open country birds reaching 3-4 ½ feet tall. The origin of their name literally means ‘slow bird’. 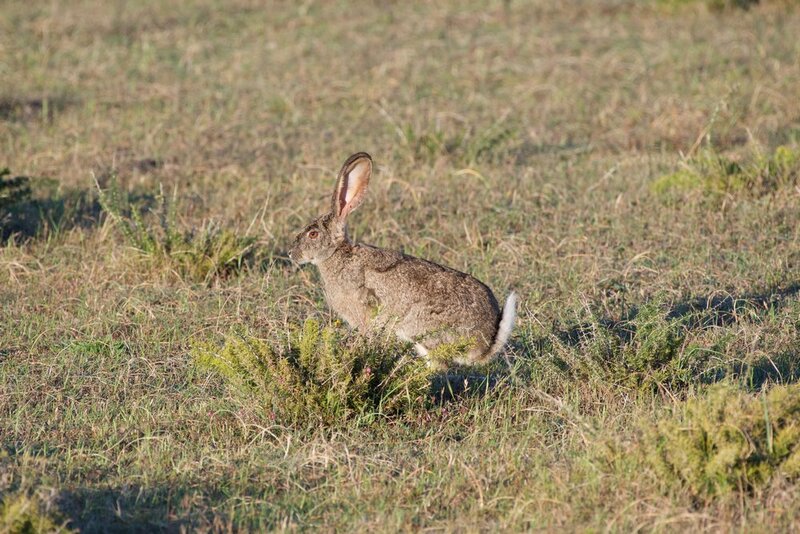 Found mainly in agricultural and grassland, they eat insects, small snakes, rodents and green plant life. 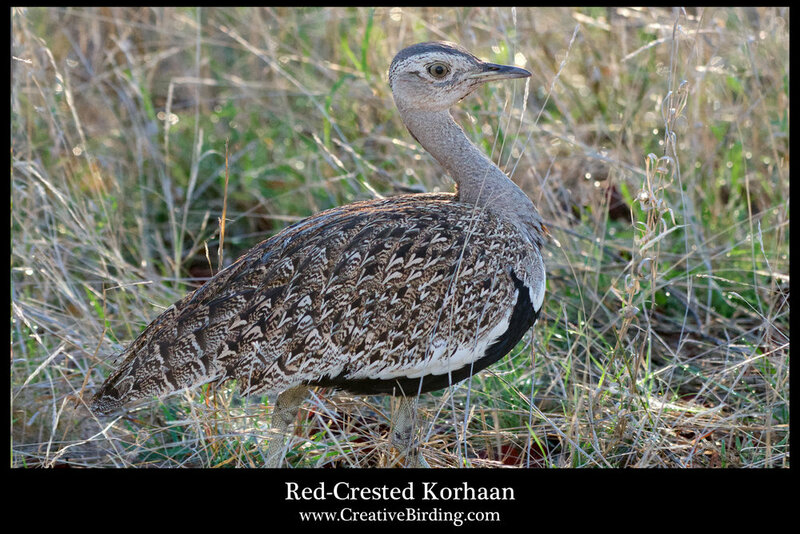 Most smaller bustards are known as Korhaans and are about 1½ feet tall. 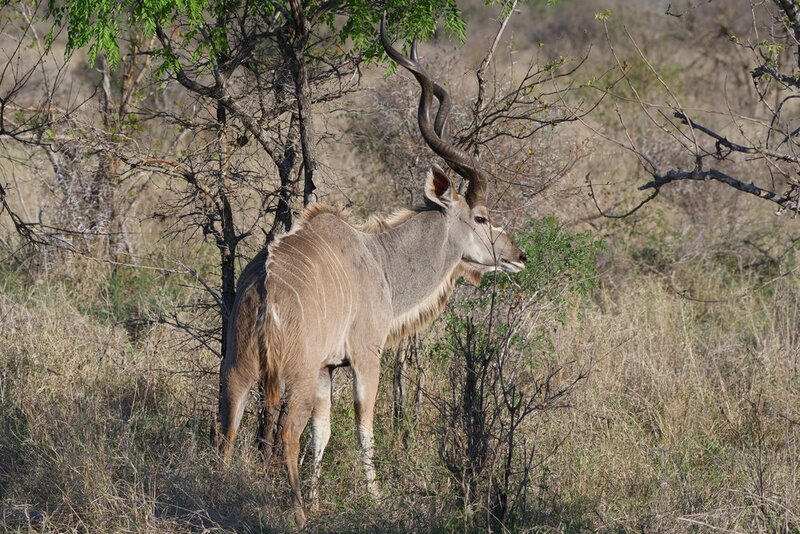 They inhabit arid and savanna grasslands. 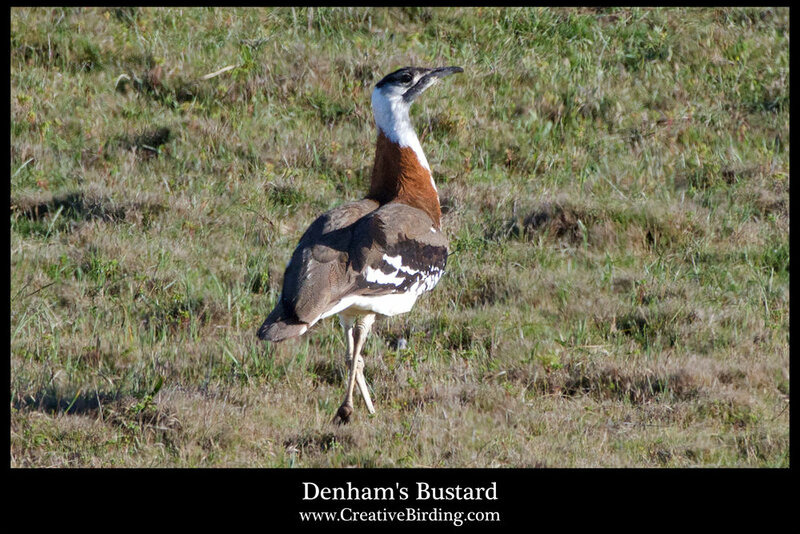 The Denham's Bustard is about 3-4 feet tall, and is the second heaviest flying bird. 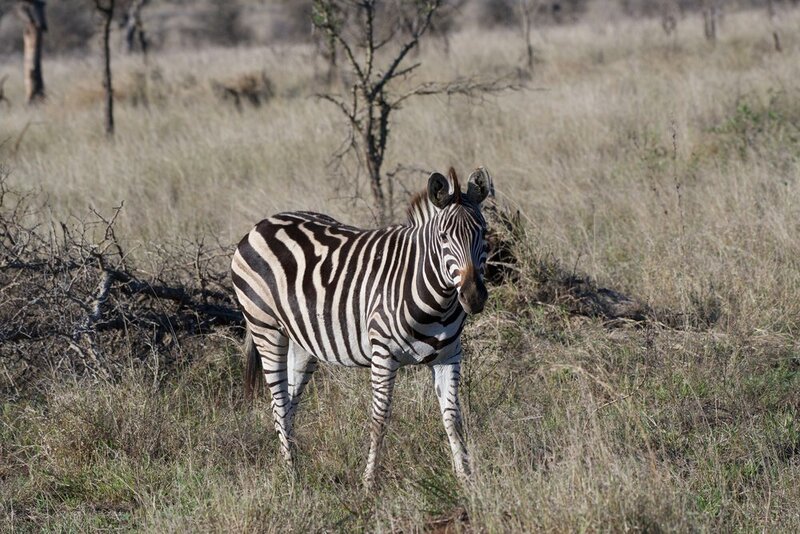 They generally occur along a coastal strip in S. Africa in open grassland and agricultural land. The males courtship is by inflating their throat to form a conspicuous white 'balloon'. The red crest of the Red-crested Korhaan is shown by the male only during courtship for females while performing acrobatic aerial displays. They are about 1 ½ feet tall, and fly straight up to about 15 feet before tumbling out of the sky gliding to a safe landing at the last possible moment. They will mate with as many females as they can impress in this fashion. 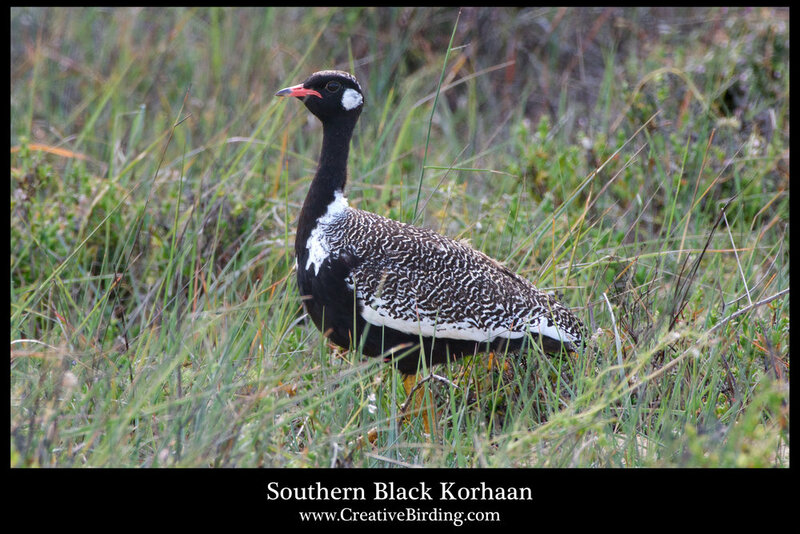 The Southern Black Korhaan is found nowhere else in the world. About 2 ft. tall, it hunts small reptiles and insects such as butterflies, bees, and locusts. It can strike a poisonous snake on the head with one fatal blow killing the snake instantly. The Common Ostrich is the largest living species of birds. 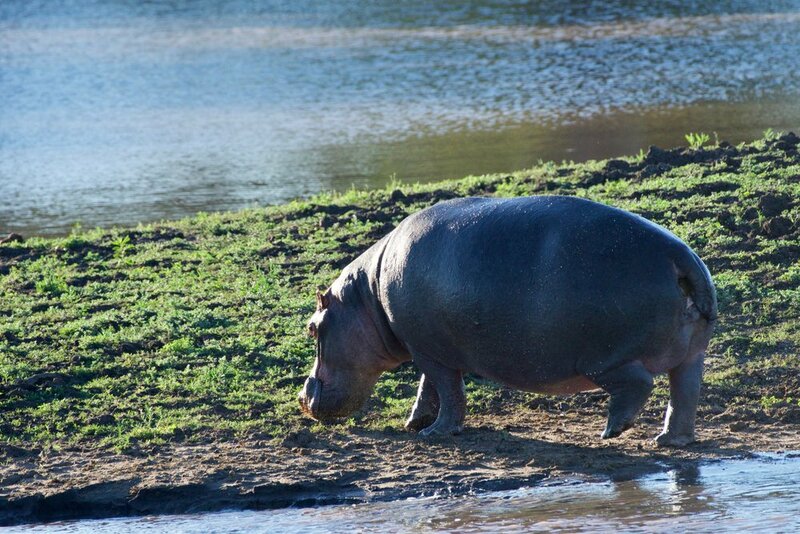 At 6 ft tall, it is flightless and adapted for running up to 45 mph. The males have black plumage with white wing tips and tan tail feathers. 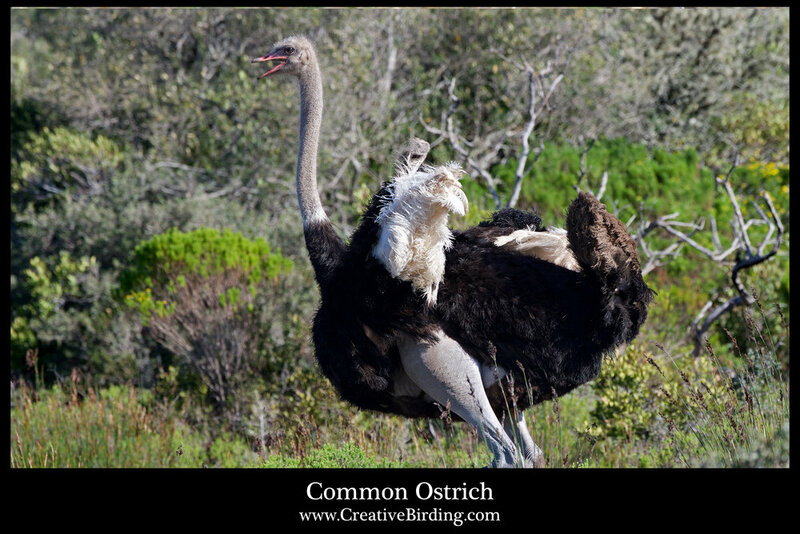 Most ostriches found across S. Africa originate from domesticated hybrids originally bred for the feather industry. The are farmed around the world for feathers, leather and meat. 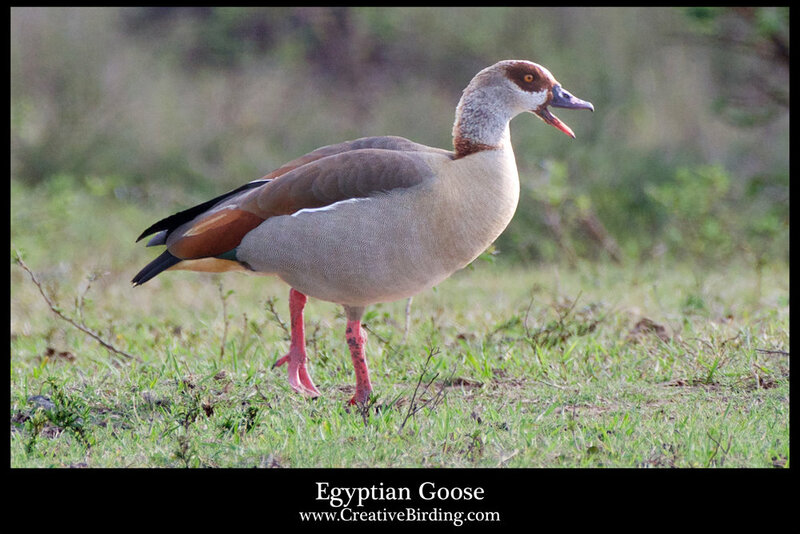 The Egyptian Goose similar in size to the Canada Goose is about 30 in. long. Originally from the Nile Valley, it is abundant in S. Africa and has established a presence in Central and Southeastern Texas. Largely a terrestrial species it may perch on trees and buildings and nest in cavities of mature trees and on ledges of rock cliffs. 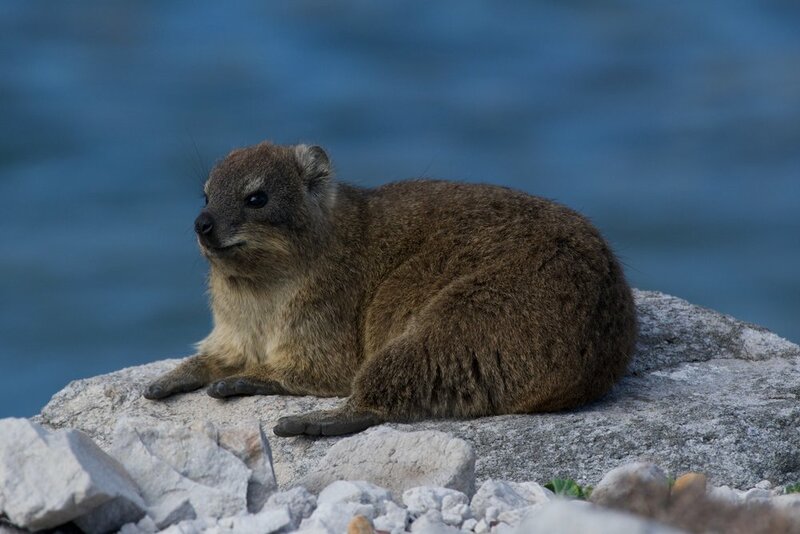 The males are generally quiet except during courtship, and the females tend to be noisier and their raucous quack can be heard frequently in aggression and almost incessantly when protecting their young. 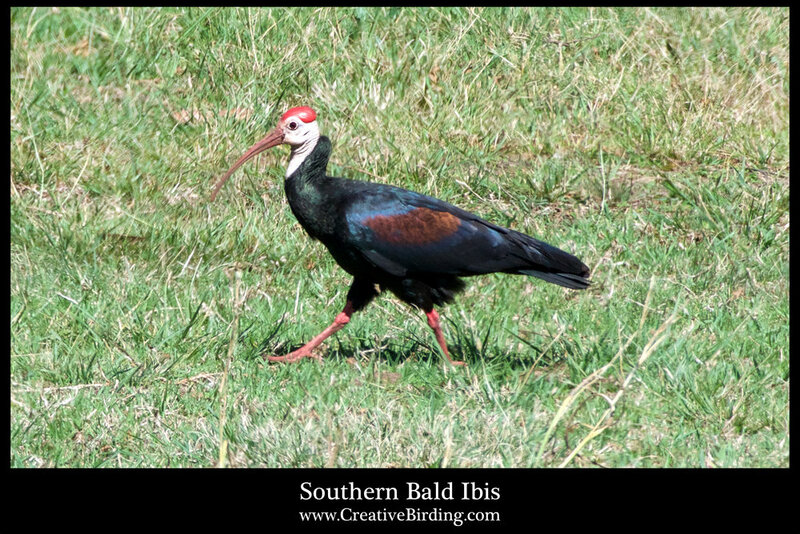 The uncommon Southern Bald Ibis is endemic to the eastern regions of South Africa and restricted to the highland and mountain regions. Only about 4600 breeding birds of this species remain. This large (28-31 in. long) glossy, blue-black ibis has an unfeathered red face and head, and a long decurved red bill. Known as the “quiet bird” as it is generally silent. 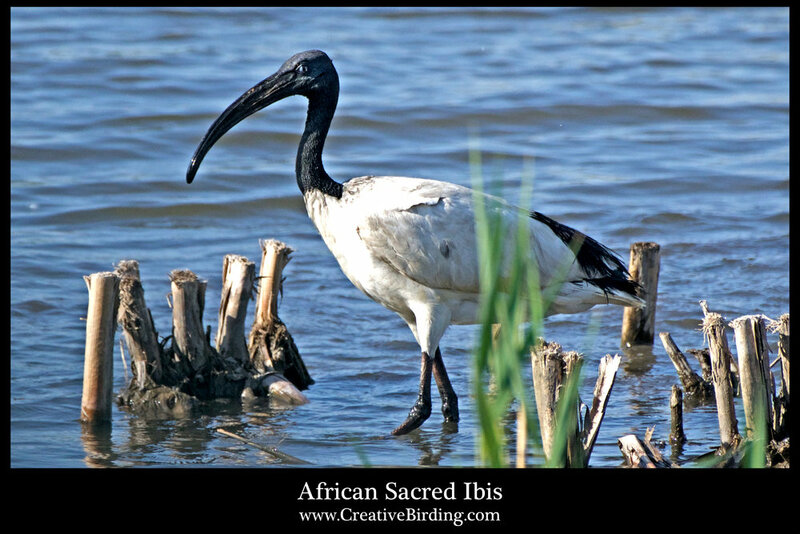 The African Sacred Ibis is also about 30 in. long and generally silent. Initially found in Egypt, it was venerated and mummified as a votive offering to the god Thoth. Over a period of hundreds of years, it is estimated that 8 million birds were mummified and entombed by the Ancient Egyptians. To sustain sufficient numbers of birds for sacrifices, ibis breeding farms were maintained. Amazingly, by 1850 the species had disappeared from Egypt both as a breeding and migrant population, mainly due to loss of marsh lands, but has flourished in other parts of Africa. It began to breed in South Africa in the early 20th century and is now found throughout. Flocks of these birds flying in “V” formation are spectacular to view with their large white bodies, solid black heads, bills and necks and white wings edged in black! The Hadeda Ibis, also about 30 in. long, is known as South Africa’s “common garden bird”, because it has adapted to the extensive expansion of urbanization. 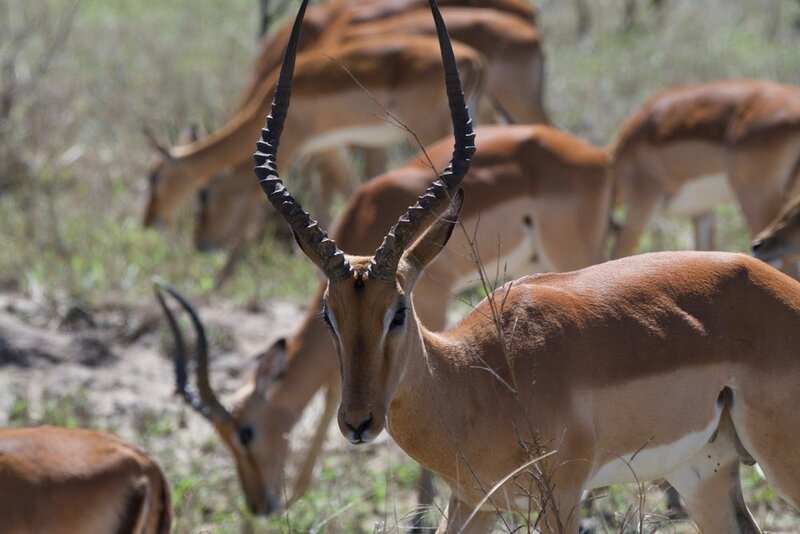 While found throughout Sub-Saharan Africa in grasslands, savannas and wetlands, it has successfully adopted parks, school fields, green corridors and residential gardens for its feeding on grubs and earthworms. Tagged as the “unruly cousin” of the African Sacred Ibis, it has an extremely loud and distinctive “haa-haa-haa-de-dah” call—thus its name. A most annoying event when flocks of these birds fly into neighborhoods in the early mornings.